If Timeless was an encouraging reminder that Martina McBride was a real country singer underneath all the pop gloss, her next studio project was a disappointing regression in form. Lead single ‘Anyway’ was much vaunted as Martina’s first venture into writing her own material, with the help of the Warren Brothers. Unfortunately, the would-be inspirational lyrics don’t get beyond the Hallmark level, and while no doubt heartfelt, overall it sounds like something written with more of an ear for big notes Martina could excel belting out than real depth of thought or emotion. She certainly sings the hell out of it, to the extent of oversinging at some points; this is not a song or performance with any notion of subtlety. The big contemporary piano-and-strings ballad was however what radio programmers expected and wanted from Martina, and it did much better than the singles from Timeless, giving Martina her first top 5 hit since 2003’s ‘In My Daughter’s Eyes’. Another McBride co-write with the Warrens (plus pop-country writers Chris Lindsey and Aimee Mayo), the exceptionally forgettable, bland and overproduced ‘How I Feel’ peaked ten spots lower, at #15. It makes its predecessor sound a lot better in contrast. Martina and the Warren Brothers also wrote (with Nick Trevissick) ‘Beautiful Again’ a frankly depressing tale of an abused girl turned single mother, set to an inappropriately perky and poppy tune. I didn’t like it at all, or find the protagonist’s cheery optimism in the face of all evidence to the contrary remotely credible. ‘Cry Cry (Til The Sun Shines)’ is well meaning but lyrically vapid. Other songs fitting the bland and boring template are ‘I’ll Still Be Me’ and ‘Everybody Does’. The last single, the socially conscious ‘For These Times’, is a well sung and thoughtfully written Leslie Satcher song but the inevitable gospel backing vocals seem unimaginative. It crept into the top 40, but failed to get higher than #35. Of the better songs, ‘If I Had Your Name’ (written by Hillary Lindsey, Gordie Sampson and Steve McEwan) isn’t at all bad pop-country, with a vicious little stab at her soon-to-be-ex. ‘Tryin’ To Find A Reason’ has a pretty tune and touching lyric about a relationship on the rocks. Martina’s interpretation is subtle, and Keith Urban guests effectively on harmony. ‘House Of A Thousand Dreams’ is a beautifully delivered mature reflection on a dilapidated home and marriage. ‘Love Land’ is a delicate story song, written by Tom Douglas and Rachel Thibodeau, about a teenage marriage which survives the tragedy of losing a baby. These four are worth hearing. Overall, though, this album’s principal failing is not that it is bad (she has produced worse, particularly Emotion), but rather too often it’s just plain boring. Martina seems to have been trying to playing things far too safe placating her contemporary fans after Timeless, but the end result doesn’t really deliver on either count. It looks as if fans agreed with my assessment of Martina’s downward trajectory. Timeless was her last platinum release, with this album topping out at gold, while more recent efforts have sold even more poorly. New Big Machine trio Edens Edge is built around the distinctive piercing twangy lead vocals of Hannah Blaylock. The production, helmed by Mark Bright and Dann Huff, is unfortunately cluttered with too much going on most of the time. The talented band members play a variety of instruments (Cherrill Green comes from a bluegrass background, and plays mandolin and banjo, while Dean Berners plays dobro and guitar), and a more natural, less processed, sound woul allow them to shine more. ‘Skinny Dippin’ (not the Whitney Duncan song but a new one written by Veltz, band member Dean Berners, and Vince Melamed) is a self-conscious attempt at playful charm which more or less comes off. Remniscent of the Pistol Annies, the first half of the song is quite catchy with a bright acoustic arrangement, but Huff and Bright can’t resist the temptation of throwing in weird processing on the backing vocals and too much sound in general, and it all derails. This trio also contributed ‘Cherry Pie’, a very cluttered sounding number looking back at a happy childhood, which would be a lot better with half the amount of instrumentation or less. Cherry Pie, incidentally, is the name of Hannah’s real life childhood pony. As it is largely unlistenable after the low-key and pretty first verse and the sweet lyrics and genuine emotion are crushed by an unnecessary wall of sound. Veltz wrote the album’s best track, the pain-filled ‘Liar’, with Andy Stochansky. The narrator is hiding her pain as the man she loves, and who thinks of her as just a friend, is set to marry another girl. She pretends to be happy for him, but admits in the song she is “the biggest liar in the world”. Production here is for once restrained enough to let the song breathe. The narrator’s heartbreak is very convincingly conveyed by Blaylock’s vulnerable vocal, with the unfortunate girl even having to help choose and try on the engagement ring. 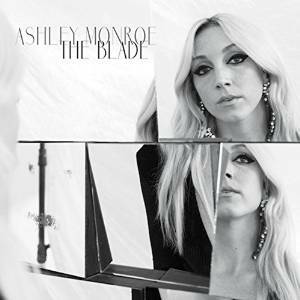 A close second is ‘Swingin’ Door’ (written by Terry Clayton, Brett James and underrated singer-songwriter Ashley Monroe), which was cut by the Australian Catherine Britt on her outstanding RCA album a few years back. Hannah’s version sounds a little less fragile, as she invests a lot of determination rejecting the lover trying to use her. It’s an excellent song, and a thoroughly enjoyable track. ‘Too Good To Be True’, written by pop-country stalwarts Hillary Lindsey, Gordie Sampson and Troy Verges, sounds just like a Carrie Underwood track, with belted-out, almost shouted, vocals, frequent nonsensical syllables, lots of attitude but not much melody, and no subtlety. Naturally it’s the current single. ‘Feels So Real’, another Lindsey song (written with Angelo and Tia Sillers), is more interesting, but very poppy sounding and oversung. The acappella ‘For Christ Alone’ (written by the band’s mentor Steve Smith, who brought them together in their home state of Arkansas) is one of the few occasions where the vocals of Hannah Blaylock’s bandmates Dean Berner and Cherrill Green are really distinct as they don’t have to fight against the overwhelming backing, and although it sounds like a hymn with choral styled harmonies rather than a country song, it really shows how ill-served the group has been by their producers. Edens Edge is a group with a lot of potential, but they have compromised too much to fit into country radio for this album to fulfil it for me. Amid a light production, led mostly by a plucking dobro that adds to the melancholy mood, and a desolate melody, we follow the man’s ‘blistering’ heartbreak through his broken conversation. Bradley’s urgent, edgy vocal is balanced nicely by Rodney Crowell’s high harmonies, which sound a bit in the distance. An English-born former engineer for global oil companies, Bradley’s music has taken him from London to Siberia, before he finally settled in Nashville, where he’s been keeping heady company – Crowell certainly not the least among them. This song comes from the pens of Music Row heavyweights Rivers Rutherford and Gordie Sampson. If ‘Hard Time Movin’ On’ is any indication, like the company he’s keeping, Bradley seems poised to crank out many a great song himself.